Shopping for My Little Pony Costumes? Dress up like the music loving pony from My Little Pony: Friendship is Magic! 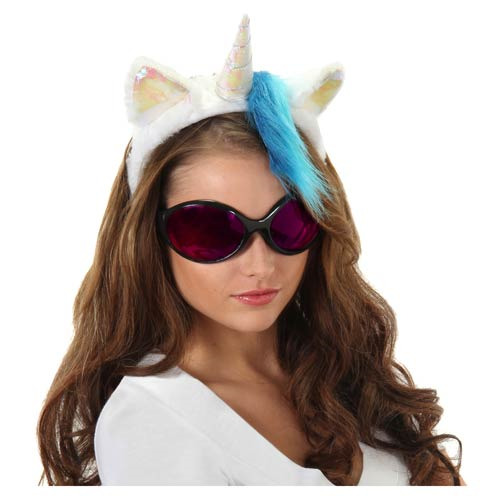 The My Little Pony Friendship is Magic DJ Pon3 Kit Headband with Glasses makes a great roleplay, cosplay, or Halloween costume piece. It's one size fits most because it stretches to fit the wearer's head, and the adjustable band is covered for comfort. Ages 14 and up.